The design and appearance of the property is great.submitted by OLIVER R. - Aug 13, 2013 |Recommended: YesA safe environment with trees and ponds. Facilities for the family. 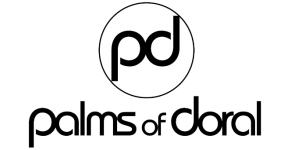 Palms of Doral is a safe and peaceful communitysubmitted by NADINE H. - Jul 05, 2013 |Recommended: YesSafe, quiet, the staff is very nice, understanding and helpful. Beautiful Communitysubmitted by Donna C. - Jun 14, 2013 |Recommended: YesUpscale living, clean, well kept apartments. Beautiful pool/hot tub area with bridges over water ways. The management is very attentive to all who live in this community. Great location near three supermarkets, two malls and loads of fantastic restaurants! Very nice but needs updates in certain areassubmitted by Sigrid A. - Jun 01, 2013 |Recommended: YesExtremely nice, professional and responsive staff. Extremely Happy submitted by Arabelly A. - May 21, 2013 |Recommended: YesThis is a beautiful community. The neighborhood is always clean and beautiful. You always see people active in this community. You'll see people running, biking and walking. I love seeing everyone so active because it promotes a healthy lifestyle. I have a five year old son and there are a ton of parks in the area to take him to, great schools, and a lot of kids his age so he can make friends. The staff is always friendly and whenever anything needs to be fixed the maintainence men come and fix it either the same day or the next day. We are very happy living here and plan on staying until we buy our own home. Great place to raise a family. Walking distance from all the schools, submitted by Kevin B. - May 04, 2013 |Recommended: YesIt is a wonderful experience. The staff is very helpful, and it is a beautifully maintained property. Parking is a little tight, but all in all fine. Very good staff and service - more attention to details neededsubmitted by Sigrid A. - Apr 01, 2013 |Recommended: YesStaff is very good, professional, pleasant. Maintenance service excellent. Fabuloussubmitted by Clarissa T. - Jan 05, 2013 |Recommended: YesExcellent place to live with the greatest staff Doral has to offer. It's a great place for families and a very nice community.submitted by Emerson C. - Dec 13, 2012 |Recommended: YesI would say that The Palms of Doral is a very nice and friendly community. A very good neighborhood to raise your children and near an excellent school. I like to live here.submitted by Sharon H. - Aug 01, 2012 |Recommended: YesIt's located in one of the safeties cities of Florida, the appartments are comfortable, there is a beautiful club house and selected people living in this Appartment Complex. Our pet friendly community welcomes dogs and cats up to 45 pounds. There is a limit of 2 pets per apartment. No exotic animals permitted. Non-refundable pet fee of $500 for the first pet, plus $500 for each additional pet. Breed restrictions apply, contact the office for details. Letter required by Certified Veterinarian for proof of breed, weight, and required vaccinations.